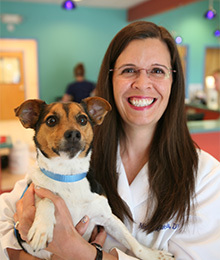 Dr. Pineda is one of the founding owners of Dogwood Veterinary Hospital & Pet Resort. Dr. Pineda has a love of cutting-edge medicine and soft tissue surgery. Her major areas of interest include: dentistry, preventive medicine, endocrinology, and soft-tissue surgery. Dr. Pineda and her husband, Luis, have three young sons, Anthony, Alex and Austin. They also share their home with a Papillon, Cinco, and two rescue kitties, Stallone and Sylvester. Dr. Pineda was born in Greenville, South Carolina, but has made the Triangle her home since 1993. While in veterinary school, Dr. Pineda was presented with both the Phi Zeta and the Martin Litwack Awards for Academic Achievement. 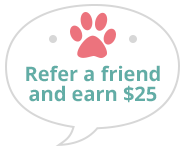 She is a member of the Phi Zeta Veterinary Honor Society, the American Veterinary Medical Association, the American Animal Hospital Association, and the North Carolina Veterinary Medical Association.